This third volume of the BEFIM series addresses the life history of vessels from the Early Celtic hillfort settlements of Heuneburg and Vix-Mont Lassois, from a detailed examination of the manufacturing process to the use and modifications of the final products. Pivotal was an extensive experimental program of dozens of experiments directed at a better understanding of the way this pottery was made and used. The participation of an experienced potter allowed us to reproduce exact replicas of the different wares and explore in detail the traces of production and the effect of temper, baking temperature and so forth on the development of production traces and wear. Especially variations in the temper material, like the frequently observed addition of calcite in the archaeological pottery, strongly affected the characteristics of the use wear traces that subsequently developed from the preparation of different products (grape wine, honey wine, different kinds of porridge etc.). The effect of alcohol production, including fermentation, on the pottery was also explored. We also tested the effect of different gestures of preparing food and drink (mixing, stirring, pounding), different ways of storage and handling, and the manner of consumption like decanting using various kinds of utensils. The traces we observed on the experimental vessels, using an integrated low and high power approach, formed the basis for our interpretation of the archaeological wares from the Heuneburg and Vix-Mont Lassois. Our data on the life history of the pottery added to a more detailed insight into foodways, including drinking habits, of the Early Celtic communities of Central Europe. 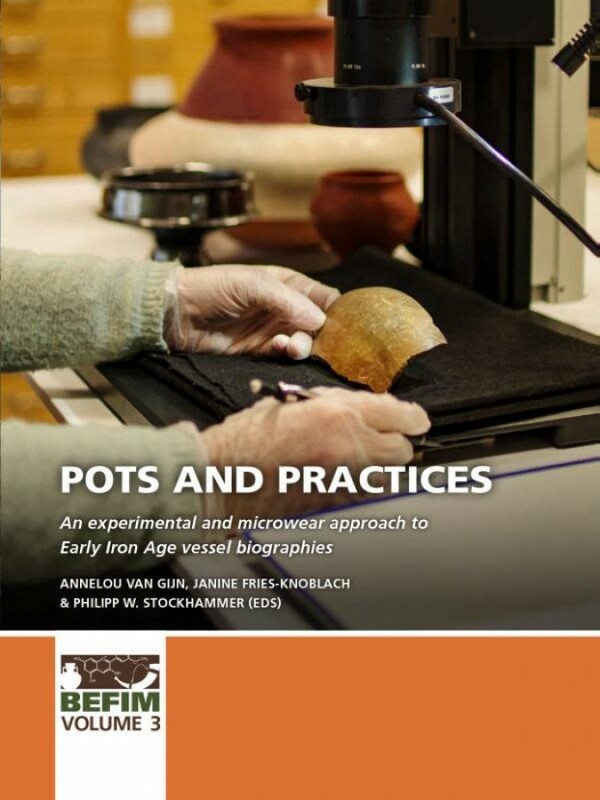 This book presents in detail the experimental program and the archaeological observations.